"With this new fire station, this department will continue to give the residents of this city better response times and better services. We thank you for what you are about to give us." 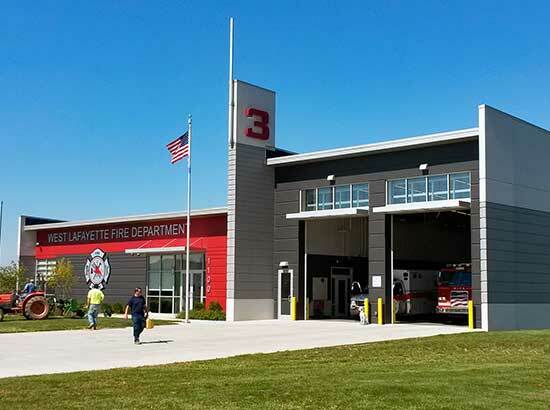 Keystone Construction served as the Construction Manager for the West Lafayette Fire Station. Fire Station #3 is located on the north side of West Lafayette, Indiana. The station was built on land donated by the Purdue Research Park and is over two acres in area. Fire Station #3, for an extended period of time, was housed in a renovated 50 year old barn. 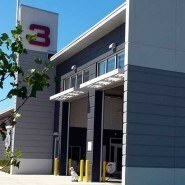 The new station was highly anticipated by many firefighters and residents because this permanent structure provided them with much needed accommodations. 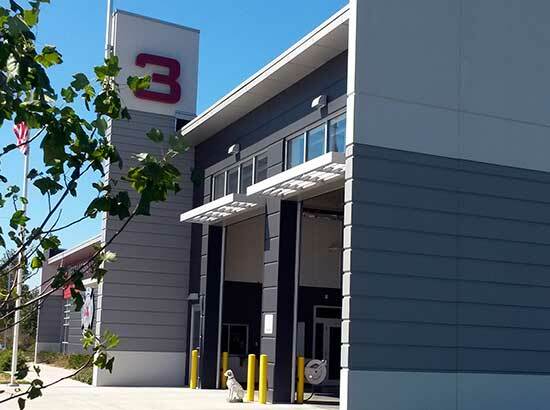 The structure size is 9,500 square feet and includes a substantially sized bay, giving the firefighters capability to work on their own equipment. Moreover, the response time for the new facility improved by approximately 30 seconds, providing West Lafayette residents better overall services.